QMAC Construction is building the new PE hall at Augher Primary School. 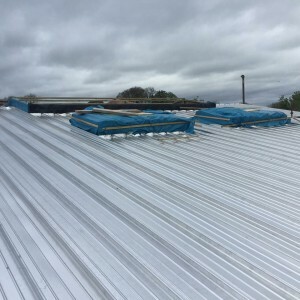 The 300m2 roof consists of 0.9mm stucco aluminium Arkzip 65/400 and 0.7mm steel Arkliner in an insulated twin skin roof. 150m2 of the roof is an acoustic build up with perforated liner and acoustic batts for sound absorption. 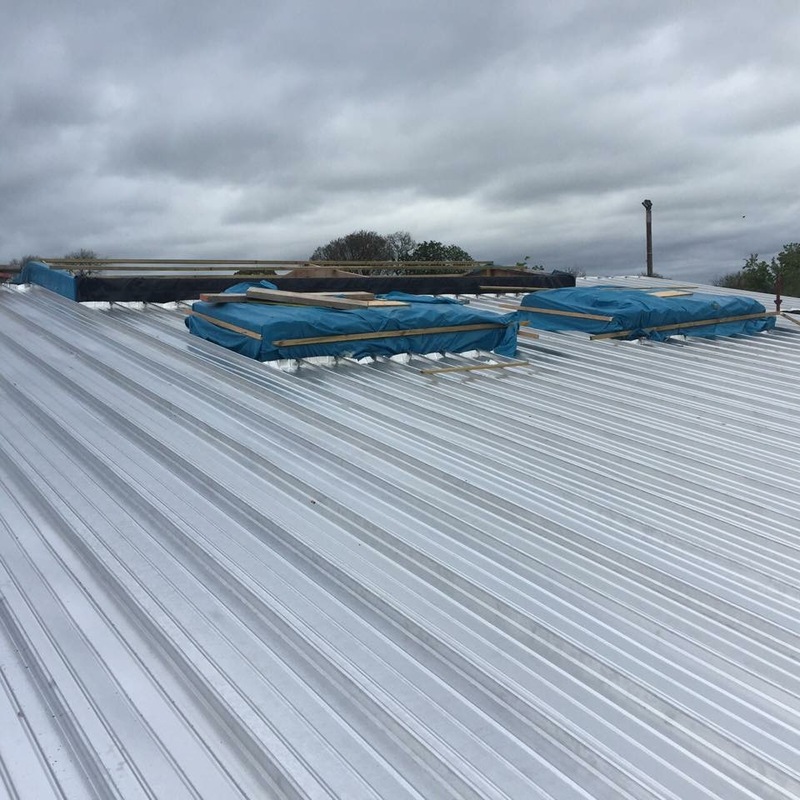 The roof light openings are to use in-situ welded aluminium soakers.